Capital One returned as a super sponsor for the third year in a row, and made a big splash at SXSW 2017! We sat down with Sanjiv Yajnik, President of Financial Services at Capital One, to talk about what he found the most compelling, exciting and inspiring this year. You’ve now been at SXSW for three years in a row. What keeps you coming back? 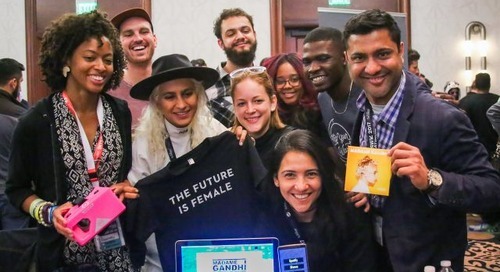 SXSW is one of the largest gatherings of entrepreneurs, innovators and disruptors. These are people who dream of a better way to make the extraordinary happen. We’re a top 10 bank, but we were a start-up not that long ago. We’re still founder-led. We’re entrepreneurs at heart and always challenge the market for the sake of our customers. And with every challenge, we smash the banking status quo, one step at a time. I can think of no better place than SXSW for Capital One to have a presence, and make connections with the best minds in tech and innovation. 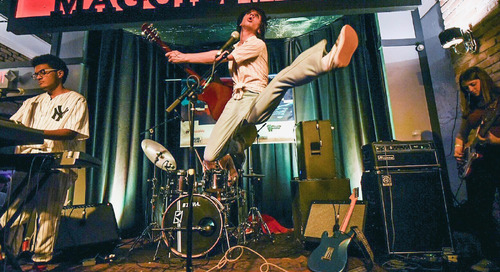 We love the energy of SXSW, and the feeling that anything is possible. It keeps us coming back for more. Tell us more about how you challenge the banking status quo. We’re always trying new things, testing and retesting, and pushing the limits of technology to give it more humanity for the sake of our customers. At SXSW this week, we gave attendees a behind-the-scenes look at the design and development of a number of innovations that are helping people be more confident about their relationship with money. This includes our newly launched chatbot Eno, the first natural language SMS chatbot from a U.S. bank, as well as an Auto Finance API that has completely reimagined the auto buying and financing experience, and Project Elements, an initiative that is experimenting with the future of the credit card. SXSW is a fantastic place for our designers, developers and product managers to share prototypes and products that are disruptive and innovative, and to hear from others who are equally passionate about taking risks to try something new. Capital One is known for bold, innovative activations at SXSW. What did you do this year? For the second year in a row we converted Antone’s Nightclub – a historic Austin landmark – into the Capital One House between March 10-13. Every part of Capital One was represented there, either showcasing their innovation through inventive product displays or sharing their expertise and knowledge through dozens of thought leadership sessions. We had sessions ranging from how to conduct good design, to the rise in women entrepreneurs, to designing for artificial intelligence. Our Physical Experience Design team developed unique installations at the Capital One House that provided immersive ways for us to connect with guests. One was an interactive mural depicting Austin, its attractions and its diversity. Different images within the mural represented Capital One products and capabilities. When attendees touched the images, additional information was digitally revealed. Finally, we had a remarkable music lineup every night, including alt rock, eclectic and R&B. We even had a nod to the 90s, and rounded it all up with Austin rock. Headliners included Joywave, Aloe Blacc and Smash Mouth. Experiencing this lineup at the iconic Antone’s is a huge part of what makes SXSW so special for us. For two years in a row, Will Bridges, the owner of Antone’s, has been a great partner, allowing us to take over the legendary blues club and make it our own for a few days. Those who missed this incredible music can check out our DevExchange Spotify playlist, which features all of the musicians we hosted. SXSW has redefined disruption by blurring the lines between music and technology. We’re proud to partner with them and take innovation to the next level. 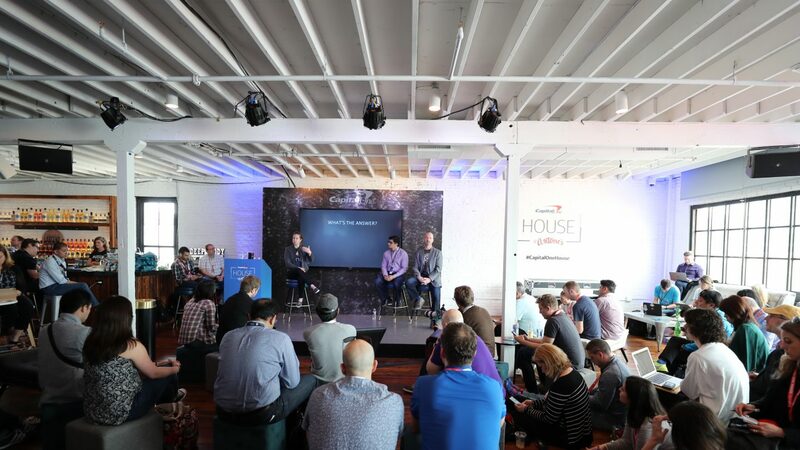 The post Capital One at SXSW: Challenging the Status Quo in Banking appeared first on SXSW.